The University of Illinois at Chicago College of Nursing has received a four-year federal grant to assist HIV-positive prisoners in Indonesia — a southeast Asian country where the number of new infections is increasing rapidly. HIV infection rates have declined throughout the world, but not so in many countries where drug use is criminalized, especially Indonesia, the fourth most populous country in the world. According to the organization UNAIDS, about 660,000 of the more than 260 million Indonesians are living with HIV. Working in collaboration with the University of Indonesia’s College of Nursing, Gabriel Culbert, assistant professor of health systems science in the UIC College of Nursing, is developing a medication adherence intervention to improve antiretroviral therapy coverage among released prisoners in Indonesia. Individuals undergoing antiretroviral therapy take a combination of HIV medicines every day. Antiretroviral therapy can’t cure HIV, but the medications help people with HIV live longer, healthier lives, and it reduces the risk of disease transmission. Culbert and his colleagues will adapt the evidence-based intervention Adherence Through Home Education and Nursing Assessment (ATHENA) as a guide to develop a new antiretroviral therapy program. 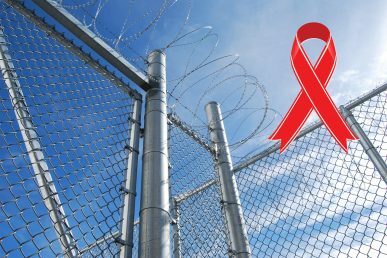 Prisoners will receive visits from a nurse and community worker to identify individual and social factors that patients can modify in order to successfully adhere to their antiretroviral treatments. HIV-positive patients define the content and outcome of their own learning through structured and tailored discussions with the nurse and community worker. The research will be conducted in two prisons in Jakarta, Indonesia’s capital. Combined, the two prisons have an inmate population of 6,000. Indonesia has the ninth largest prison population in the world, Culbert said. Culbert initially conducted research in Indonesia as an UIC undergraduate student. Then in 2013, supported by a Fulbright scholarship, he approached Indonesia’s Directorate General of Corrections to discuss gathering information on HIV-infected prison inmates. A month later he was invited to return to the country he first visited in 2003 and initial steps were taken to develop a program. HIV can be contracted in Indonesian prisons in various ways, with the most prevalent being the sharing of HIV-contaminated needles. Drugs are often easier to obtain in prisons than in the community, Culbert said. Many inmates are not only dealing with substance use and HIV, but also other diseases such as hepatitis C and tuberculosis, he said. Indonesia, however, has a universal health care system, and individuals infected with HIV can receive free antiretroviral drugs. Prisons are one of the main places where people begin treatment, and they are more likely to receive medications while locked up than they are in the community, Culbert said. On the other hand, getting released from prison in Indonesia can be extremely dangerous, he said. “The risk of death increases dramatically for paroled prisoners, not only because of suicide, homicide and drug overdose, but also from health conditions like cardiac arrest,” Culbert said. “Prisons are a structured setting, and prisoners take their medications every day so they can get their viral load under control. They also receive counseling and patient education while imprisoned. The grant, worth about $830,000, was received from the National Institute of Health’s National Institute on Drug Abuse.